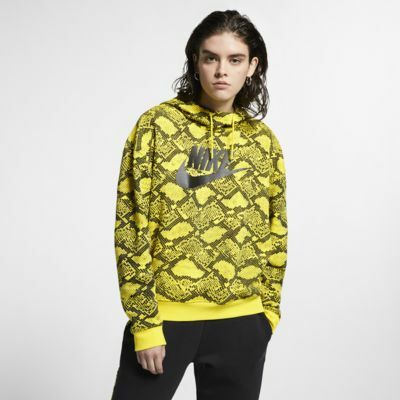 Featuring a bold snake print, the Nike Sportswear Hoodie is made from soft fleece fabric to help you stay warm and comfortable when the weather gets chilly. WARMTH AND COMFORT IN A BOLD DESIGN. Fleece fabric has a soft, lightweight feel. 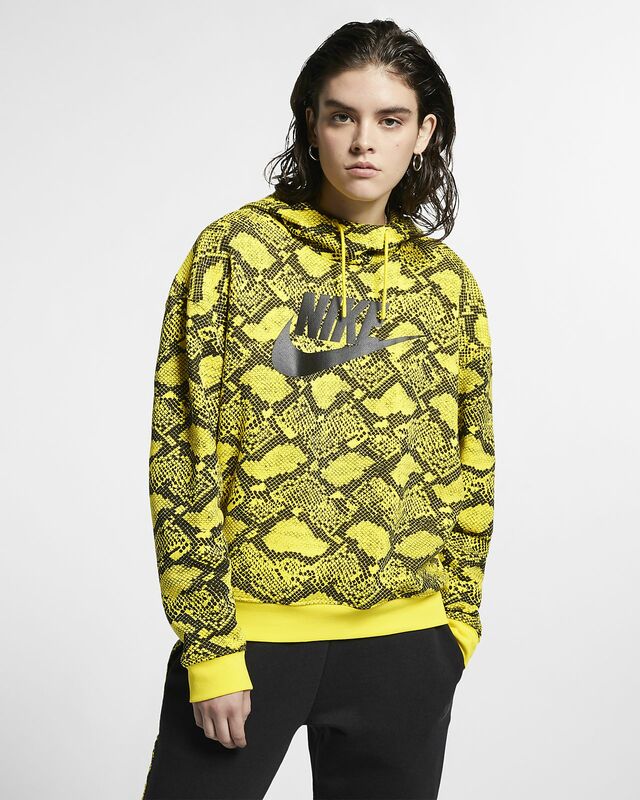 Ribbed hem and cuffs helps keep the hoodie in place.